Secret Service Officer Fatally Shot in Southwest D.C.
A Secret Service officer was killed in Southwest D.C. Tuesday, and police are investigating the case as a homicide. The victim was identified as Secret Service Uniformed Division Officer Arthur Baldwin, 30. He was shot multiple times in the 4700 block of 1st Street SW at about 2:50 p.m.
D.C. police say officers were flagged down shortly after the shooting and found Baldwin unconscious with multiple gunshot wounds. He was rushed to a local hospital, where he died. The Secret Service said Baldwin had most recently been assigned to the White House. However, Baldwin, a resident of Upper Marlboro, Maryland, had been on administrative leave at the time of the shooting. Police said they believe Baldwin was a victim of an attempted robbery. They said they don't believe his slaying has anything to do with his job or a charge against him stemming from an alleged break-in at his ex-girlfriend's home earlier this year. Police are looking for three people in connection with Baldwin's killing. Earlier Wednesday, they said they were also looking for a silver or gray car, but that car turned out to be the victim's car, they said. Baldwin, known as A.J., had a wife and three children, and had been at the Secret Service for eight years. A Secret Service spokesperson said the agency is aware of Baldwin's death. "We express our condolences to the family of our employee," the spokesperson said. Just hours before he was slain Tuesday, Baldwin appeared in court on a charge of destruction of property stemming from an April incident in which he allegedly tried to break into his girlfriend's home. 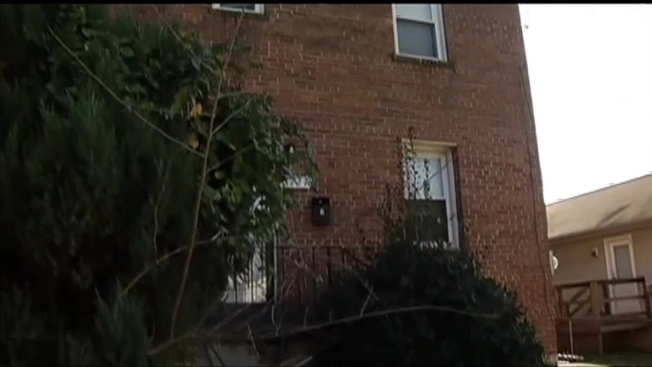 According to a police report from April, Baldwin, then 29, tried to break into the woman's Southeast D.C. home before fleeing the scene. The report said the woman was "crying, shaking and appeared to be in fear of her life," and that she told a responding officer, "My ex-boyfriend won't leave me alone." The police report said two windows were broken and the hinges to a door of the home were damaged. Authorities said Baldwin returned to the home after police arrived and asked to talk to the woman. They asked him if he kicked the door, and he allegedly replied that he kicked the door, but hadn't broken any windows. Police said Baldwin hadn't gotten close enough to see any windows were broken. Police found Baldwin's loaded service weapon in a bag in his truck, according to a court document. Baldwin was arrested and charged with first-degree burglary and destruction of property. He pleaded not guilty, was released and ordered to stay away from his girlfriend. The U.S. Attorney's Office later dismissed the burglary charge. On Tuesday, Baldwin appeared in court and pleaded not guilty to a misdemeanor destruction of property charge. A non-jury trial date was set for next year. In the wake of the alleged break-in, Secret Service Director Joseph Clancy had ordered Baldwin to be placed on administrative leave, and his security clearance was suspended.